Nexy Hostels are taking a community-focused approach to hostel management. Their philosophy, founded on embracing social connections and bridging the gap between international visitors and the local Vietnamese community, is giving this social hub a real buzz. 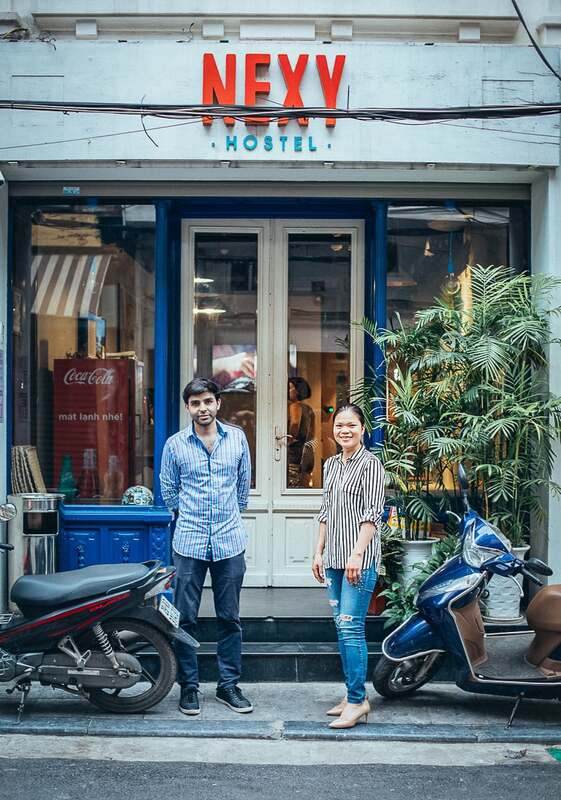 It has seen them quickly carve their name into the hospitality industry in Hanoi with their space described as the capital’s only five-star hostel. 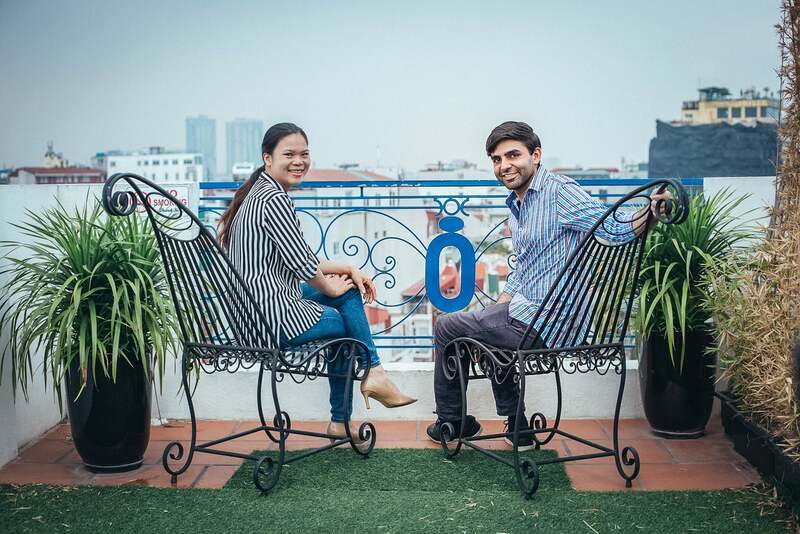 Naturally, we wanted to check in with Nexy Hostels’ Co-founders, Saad Quraishy and Heidi Thi Nhung Dam. So we headed to Hanoi to better understand how this multi-functional hostel space is doubling up as a thriving social center, Nexy Hostels’ inspiring strategy to improve the infrastructure of local tour operations, and their perception of the power and the problems of review aggregators like TripAdvisor. How did Nexy Hostels get started? Saad: We were classmates in Switzerland—we first met at university there, where we were both international business students. Both of us were focused on hotel, resort and spa management, so we had very similar ideas of what we wanted to do in the future. Eventually, we began talking about going into business together, and started conducting some serious research. After looking at the data, we spotted that there was an obvious gap in Vietnam’s hospitality market. Vietnam seemed like the perfect place to get a startup going, so you could say that it happened pretty naturally. What distinguishes your hostel from the others? Do you have a distinctive philosophy you can share with us? Saad: “Nexy” references a nexus or nucleus. 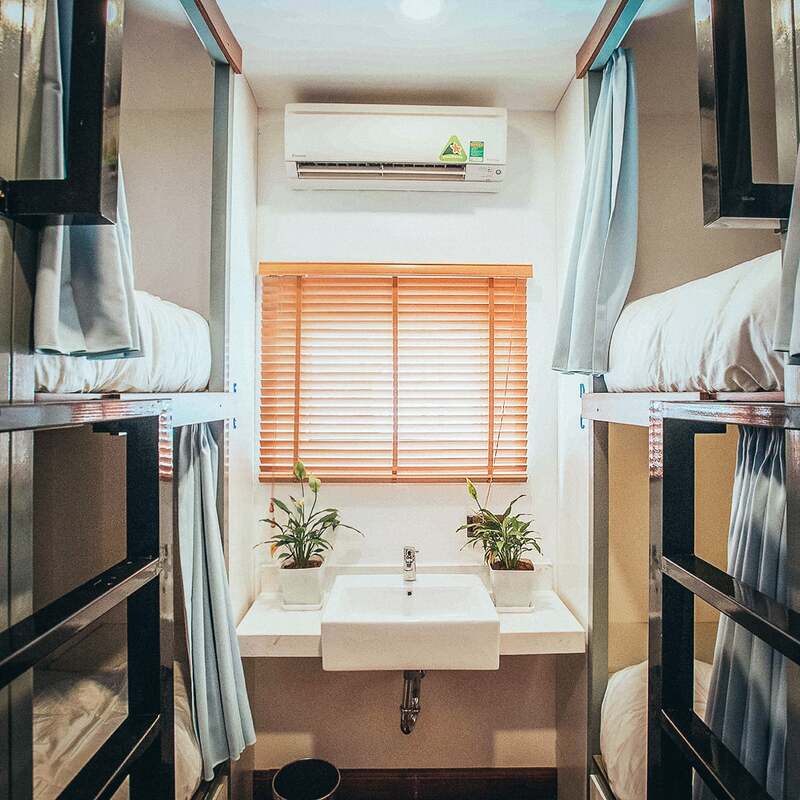 Essentially, it’s a point of connection, which is exactly how we envisioned our hostel would function. It also gave us a theme to work with. Nexy Hostels revolves around that rather simple philosophy. We encourage people to connect with each other and with the wider community. We’re really passionate about building a strong and supportive network and we wanted the name to be reflective of that. Heidi: We came up with the initial concept while studying trends in the service industry. Our target market consists of digital nomads, professionals, and couples who are looking for something more than the basic backpacker experience—we learned that many people are looking for a luxury experience, but don’t have the budget. Our aim was to try and provide that same element of luxurious intimacy but in the form of a hostel. So for us, when we started to be described as the top-rated hostel in Hanoi, it was further evidence of the success of our concept. Maintaining a highly interactive social atmosphere is a huge part of your concept and brand experience. How did you manage to create such a comfortable space? Heidi: At Nexy Hostels, we dedicate a lot of time and energy to getting to know our guests. Our highly-trained English-speaking team treats each visitor as an individual, always ensuring everyone gets a nice warm welcome upon arrival—it’s a personalized service that you don’t often find in hostels. We also make it a point to find out exactly what they’re looking to get out of their Vietnam experience. The front desk serves as the first point of direct contact between our visitors and our staff. But where many businesses go wrong is overlooking the power of these first impressions. They can really set the tone for the entire experience. Saad: We also proactively nurture our social environment so that it feels fun and friendly. We strive to make it easy to for guests to engage with each other. We create numerous opportunities for our guests to socialize and everyone is encouraged to get involved, not forgetting that visitors still need their private space as well. Respecting those needs can really make a big difference. From ongoing, impromptu activities to simply supporting guests with shared interests to spend time together, there’s always something happening at Nexy Hostels. And what have you discovered your guests are looking for in their Vietnam experience? How are you helping them to fulfill those wishes? Saad: In order to provide visitors with genuine experiences they will be satisfied with, we use our own personal knowledge of the region to handpick original activities and to organize tours that they wouldn’t find anywhere else. Most people staying in our hostel are in search of an authentic experience. They usually prefer to avoid touristy areas. Guests understand we are operating in a more transparent manner than many other tour operators. They realize we are connecting them with authentic Vietnamese culture, and they trust that we’ll deliver the positive experience that we promised. Just seeing people’s smiles when they are enjoying the experiences we provide is a really rewarding experience. If they are happy, so are we! Vietnam’s service industry had a bad reputation in the past. How is the industry repairing its image? Heidi: That definitely used to be the general consensus. When I first started working in the industry here 10 years ago, there were next to no standards. However, recent growth has increased competition and now there is much more awareness about branding, consumer expectations, and the need to strive for international standards. Although this is a clear shift in the right direction, we still have a long way to go. Tour operators in Vietnam are a good example of how things can be mismanaged. Visitors are often pressured into going on disorganized tours. The operators don’t take the time to inform their customers about the details or the benefits of the experience they are providing. Rather than focusing on customer satisfaction, they look to get as many people as possible to take their tours with the ultimate goal of making as much money as they can within the shortest amount of time. Saad: What people in the hospitality business need to remember is that hotels and hostels are intangible products—you cannot take them home with you. The only thing you can take back is your memories. 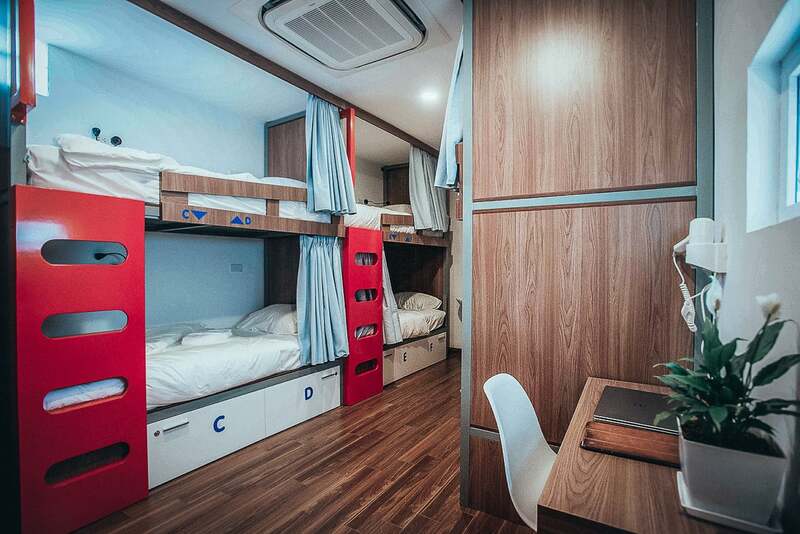 So, the goal of Nexy Hostels is to create indelible memories—something you will have forever. What’s your take on the increasing influence of websites like TripAdvisor? Heidi: Everybody in the hospitality industry agrees that online reviews can make or break a business. For most travelers nowadays, the search for suitable accommodation starts and ends with websites like TripAdvisor and Booking.com. Over the past several years, we have seen marketing extend its reach well beyond print and television. In fact, digital ad spend in 2017 surpassed ad spend for both print and television for the first time in history. Market research firmly supports the belief that this trend will continue. By 2020, spend on television advertisements, for example, is expected to dwindle down to a mere 30% of the total. Saad: However, as the power of online reviews grows, some problematic issues are arising. The system is far from perfect and It’s not uncommon to come across biased and unfair reviews. Heidi: With that being said, we warmly welcome feedback and constructive criticism. In fact, negative reviews have played a crucial role in helping us identify our weaknesses and improve upon them. If there is a problem, just tell us so we can fix it! Really, this is how it should work. When reviews are written for the right reasons, the entire process becomes a mutually beneficial one. How important is word of mouth for your hostel? Heidi: Many established businesses go so far as to claim word of mouth is the only form of marketing they need. We also believe it really can have a strong impact on our brand’s reputation. It’s effective because people naturally trust each other more than they ever would any form of paid advertorial content. Word of mouth plays a huge role in the success of not only our business, but of everyone’s business in the hospitality industry—especially for those just arriving on the scene. Saad: Another thing we consider is that If you have a positive experience at Nexy Hostels, you become a brand ambassador in a sense. And this is exactly what we are after. The more positive the experience, the more likely people are to share it with someone—most of us are excited to share our positive experiences with others. If we’re managing everything right and our guests are happy, word can spread like wildfire. Heidi: We make it a point to ask all our visitors how they came to learn about our hostel, and when we hear that it’s from word of mouth we feel really proud. It’s times like those that make all that stress and frustration worth it. The more guests who discover us that way, the better we’re doing our jobs. 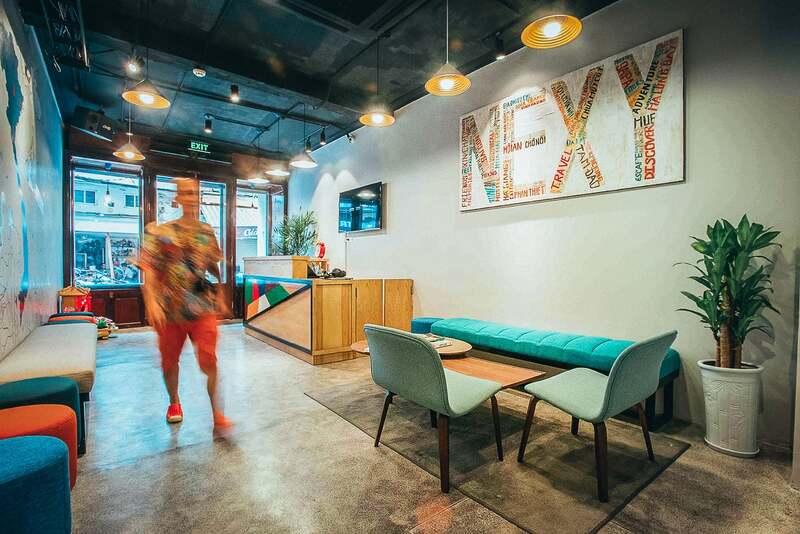 What does the future look like for Nexy Hostels? Saad: We are proud of what we have achieved so far. We started strongly and executed our plan effectively. It didn’t take much time before people began to notice what we were doing. Looking forward, our goals are to expand the business. We’re currently looking at sites across Vietnam—in Ho Chi Minh City, Danang, and Hoi An. Heidi: Tourism is really starting to pick up. The future’s looking bright for the Vietnamese hospitality industry, without a doubt. More people are coming to Vietnam, and we can see the industry developing right in front of our eyes. There’s a lot of buzz right now. Heidi: Drew Coffee at 58 Nguyen Huu Huan Street. We had a long term guest, who discovered this coffee shop. He introduced us to Le Huyen, who is the co-founder of this coffee shop serving pure organic coffee with no flavorings. Like us, she’s passionate about her business and strives to deliver the highest quality product possible. Vietnam is becoming one of the world’s most popular destinations.